Today I’m featuring the sequel to The Strange Case of the Alchemist’s Daughter, which I’m excited to learn is releasing next summer! I had a great time with the first book, and I’m looking forward to catching up with Mary Jekyll and the rest of the daughters of literature’s most notorious mad scientists. 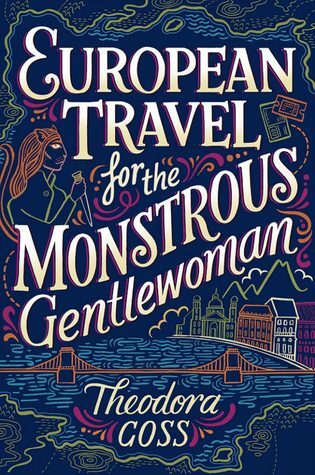 “In the sequel to the critically acclaimed The Strange Case of the Alchemist’s Daughter, Mary Jekyll and the rest of the daughters of literature’s mad scientists embark on a madcap adventure across Europe to rescue another monstrous girl and stop the Alchemical Society’s nefarious plans once and for all. Oh I love the cover! I really like the cover…nice colours and design! Hope it is as good as it looks! The first book is on m wishlist – I suppose a summer release gives me time to catch up with this one. That’s a new to me one! Love the cover! Such a fun design!! Hope you enjoy this one once you read it! Two of my favorite bloggers are sharing the same book today – how awesome and I guess that means I need to get busy on the first book! I had a feeling we might be twins today😁 I’m unbelievably excited for this! Oooo, I feel like I just saw this on another blog! I’d never seen it before, so it was twice in a day. 😀 I hope you enjoy this book when you get the chance to read it!